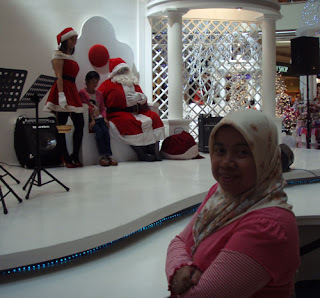 Santa Claus in KLCC ??? It's Thursday, 20th December. 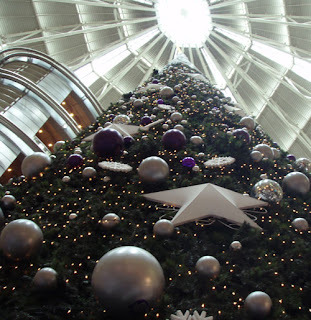 We managed to do some last minutes shopping at Sungei Wang and Lot10. Our bags compartments masih ada space, so beli barang supaya nampak berisi. We check out 1:00pm and we have to use a mini van to transport 2 humans, 3 medium size bags and 2 boxes of bicycles. It took us around 45mins to reach LCC Terminal. As you can see from above, sempit kali aah. 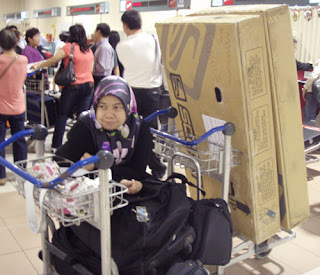 Nasib baik dua kotak saja. 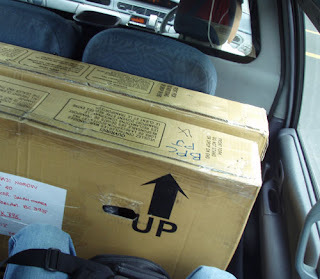 mun tiga kotak, ada yang duduk bersila atas kerusi. We reached at the airport around 1:47pm. 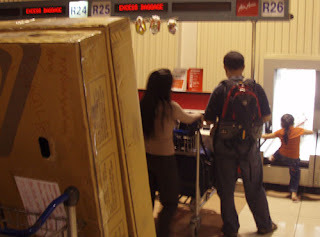 Banyaknya orang di airport, maklumlah airport murah. 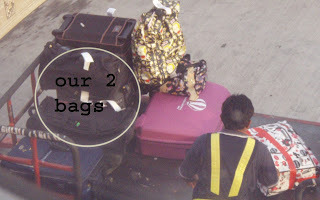 I've to use 2 trolleys to carry our luggage. We were number 2 in line. Counter pun alum buka. It was 2pm and the counter was opened around 3:30pm. Laparnya menunggu. 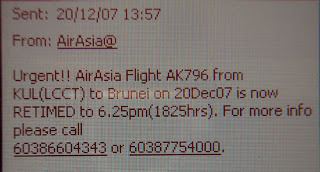 I've received a SMS from AirAsia saying that their flight is delayed from 5:30pm to 6:25pm. I guess everyone else pun menerima sms. 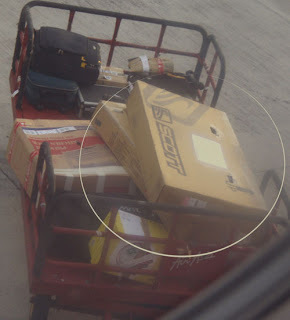 Those 2 boxes is my bicycles. Fragile kali tu aahhh. Ada kah macam atu!! !